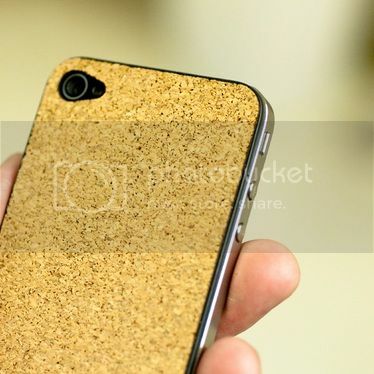 Cork iPhone 5 Protective Backing, Roobix! About 1/32" thick, this stick-on backing will give your phone a sweet look and texture. Removable and repositionable. Also called Cork Fabric or Cork Leather, you'll be amazed by the exceptional texture of the cork that combine resistance and elegancy! The touch of the cork used by CorkCase is a sensational one, made of delicacy, cosiness, comfort and resistance. Using cork is a sustainable action.